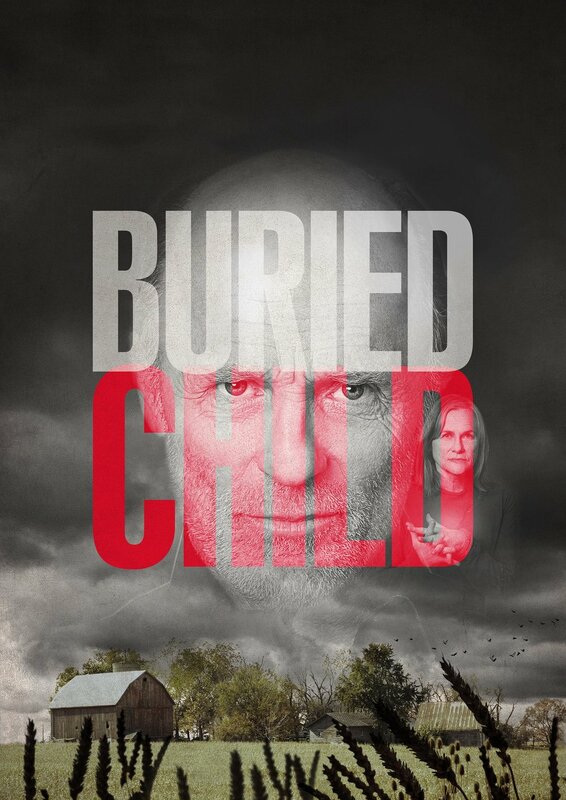 Ed Harris, acting maverick and major Hollywood star, makes his UK stage debut in a brand new West End production of Sam Shepard’s Pulitzer Prize winning play BURIED CHILD. A gripping, provocative and wildly funny tragicomedy, BURIED CHILD is the examination of a disenfranchised America, which is as relevant today as it was when first presented 40 years ago. The dramatic play filled with secrets and lies stars an exceptional cast including five time Oscar Nominee and Golden Globe winner Ed Harris, Oscar and Emmy Nominee and Golden Globe winner Amy Madigan and one of the hottest new British actors of his generation and London Film Critics’ Choice Award Nominee Jeremy Irvine. Ed Harris is a five-time Oscar Nominee and Golden Globe winner. A giant of the American film industry and recipient of a star on the Hollywood Walk of Fame, Harris’s film credits include; Apollo 13, The Rock, The Truman Show, The Hours and Pollock. He also won a Golden Globe Award for playing Senator John McCain in Game Change. This autumn, Harris will star in the premiere of HBO’s sci-fi drama Westworld. Joining Harris is Jeremy Irvine (Steven Spielberg’s War Horse, The Railway Man, Now is Good and forthcoming films Fallen, Billionaire Boys Club, and This Beautiful Fantastic) making his West End debut. One of the greatest and most significant American playwrights of his generation, Sam Shepard has penned over forty-five plays including: A Lie Of The Mind (New York Drama Critics Circle Award), True West and Fool For Love. As an actor he has appeared in the classic films Days of Heaven, The Right Stuff, Steel Magnolias, Paris, Texas, The Assassination of Jesse James by the Coward Robert Ford and recently Cold in July, August: Osage County and Midnight Special. We are giving you the chance to win a pair of tickets to see this fantastic play and discover the hidden secrets. The prize bundle includes 2 x tickets for the play, a programme and a complimentary interval drink per person. Three lucky winners will be selected at random from the entries submitted. This competition closes on Monday 28 November. We will notify winners around that time. TERMS & CONDITIONS: Prize is two tickets to see Buried Child at Trafalgar Studios in London, a copy of the programme and two complimentary interval drinks at the theatre. Prize must be taken by the end of the run of the show. Prizes cannot be exchanged for their monetary value or other Curzon Cinemas or Trafalgar Studios products or events. Winners will be selected at random from all entries received. The competition is not open to Trafalgar Studios or Curzon employees. The competition closes on Monday 28 November 2016 at noon. The winners will be contacted after the competition closes by Curzon Cinemas or by their appointed representatives. If the winner does not claim their prize within 10 days of being notified, then their prize will be forfeited and another winner will be selected. Curzon’s decision is final and no correspondence will be entered into. Curzon reserve the right to alter and/or cancel the competition without any prior warning. All personal data submitted with consent will be kept by Curzon for the purpose of sending out the prize. The competition is open to UK entrants aged 16 and over. Tickets are subject to availability. Tickets must be collected from the box office and will not be sent. No transport costs are covered. Buried Child plays from Monday 14 November at Trafalgar Studios, London.